You know what they say: "What grows together goes together." Tomatoes and okra are a match made in summer heaven. Not only do these two Southern vegetables come into season at the same time (mid- to late-summer), they taste great together too, which is why you’ll find them in all sorts of dishes throughout the South. 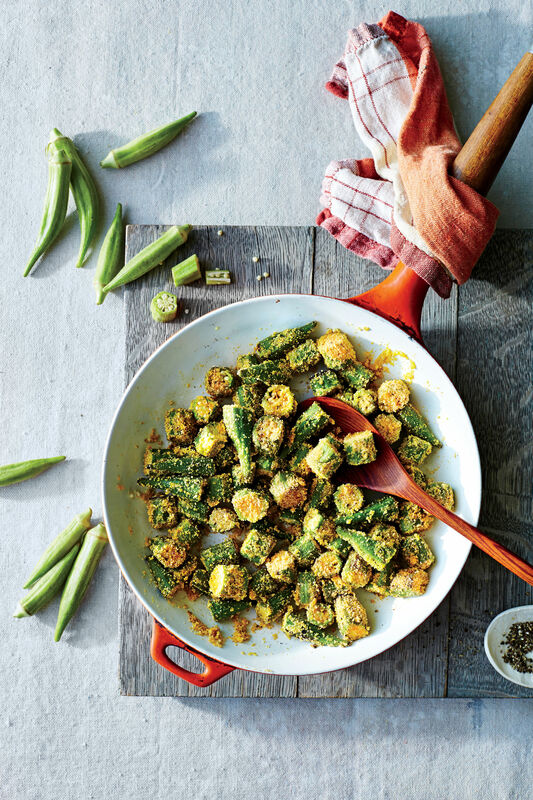 Okra’s earthy, mild flavor is even better when combined with an ingredient with a little acidity, like tangy-sweet tomatoes. And tomatoes may even help prevent the number one reason why people dislike okra: slime. Tomatoes are naturally acidic, which some believe can temper okra’s naturally slimy texture. (It’s called “mucilage” and also acts as a thickening agent in soups and stews—and gumbo.) And if you can’t get your hands on great fresh tomatoes, canned tomatoes work well with okra too. In some recipes, cooked or stewed tomatoes (plus the flavorful tomato juices) are actually even better. Other than on white bread with mayonnaise, there’s no better way to enjoy tomatoes than with okra. Try one of these fresh, summery recipes and see for yourself. This vegetable-packed main dish is flavored with Cajun seasoning and topped with garlic breadcrumbs. It’s perfect for a crowd—the recipe serves eight people generously. 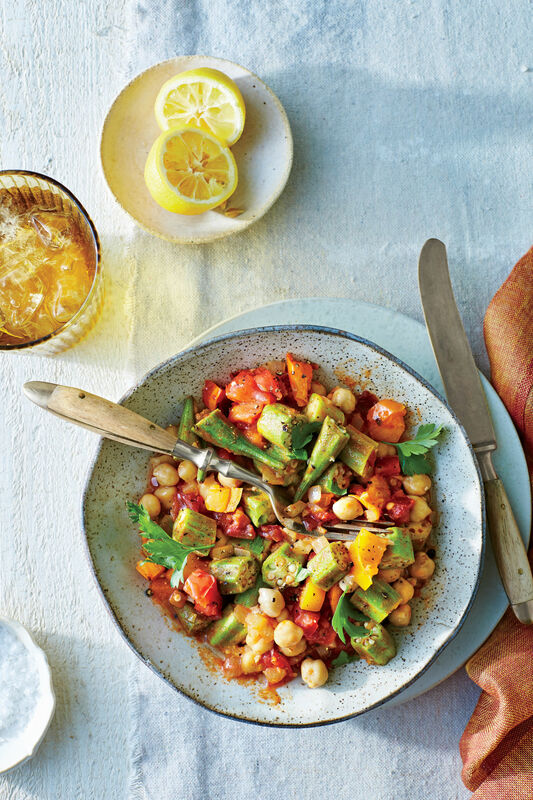 This Southern take on a stir-fry combines fresh tomatoes with okra and red onions. 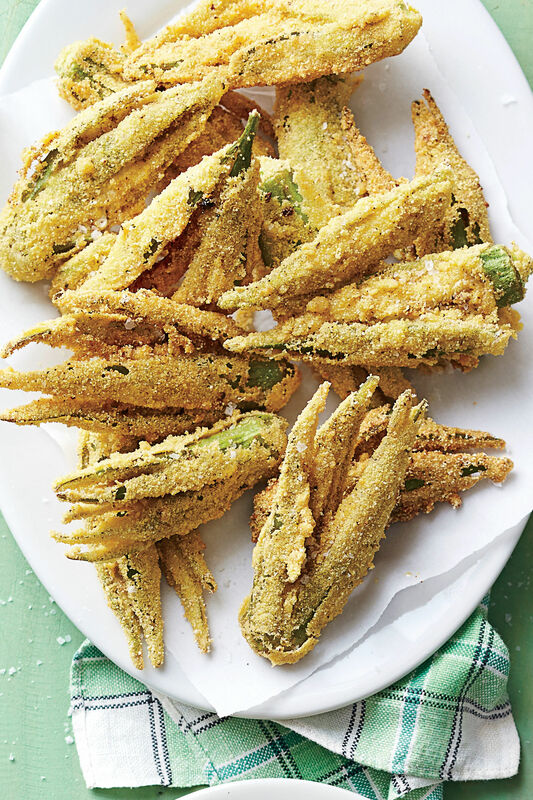 The key to the dish is frying the okra in batches until it is well browned. This will give it a deliciously crisp texture minus the slime. High heat cooking like grilling is a great way to tame okra slime. This simple side dish calls for a handful of ingredients and only takes about 15 minutes to prepare. Serve it at your next cookout alongside grilled chicken and burgers. This colorful side dish combines red and green tomatoes with thinly sliced fresh okra. Make sure the oil is very hot when you add the okra to the pan so it crisps up nicely. This quick take on a classic Southern dish calls for frozen sliced okra and canned chopped tomatoes, so there’s hardly any prep work involved. Smoky bacon adds richness and Creole seasoning adds a hint of spice. Serve over rice for a homey, simple supper.